Generation Z is the generation born between 1994 and 2010. 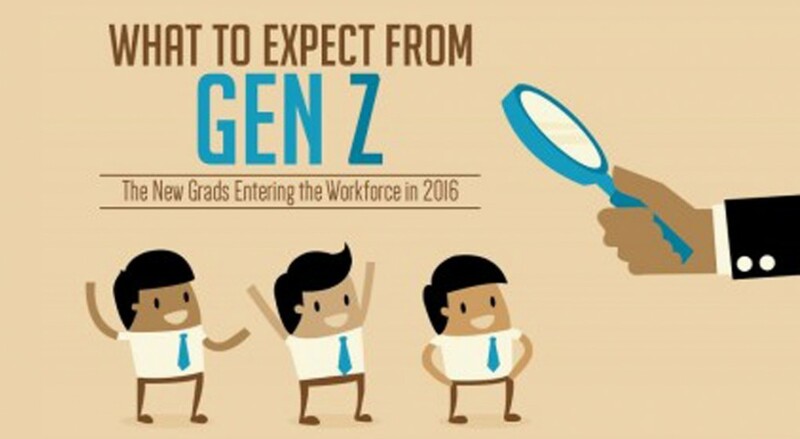 The first wave will be entering the workforce later this year in 2016. Generation Z is the generation born between 1994 and 2010. The first wave will be entering the workforce later this year in 2016. More than three out of four believe that they will need to work harder compared to past generations to have a satisfying and fulfilling professional life. They are jaded from the recession and many suffer from student loans. Yet, they are also even more entrepreneurial, loyal, flexible and realistic in their approach to careers compared to Millennials. They choose opportunities for growth and work-life balance over salary, when choosing what company to work for. Like Millennials, they will seek mentors at the beginning of their careers. In terms of career aspirations, one in three want to become managers in the next five years. When it comes to technology they are heavily reliant on it and nine in ten of them say they would be upset if they had to give up their internet connection. Even though they are highly connected through technology, their first preference for communicating with their managers is in person with over 51% of them preferring this communication method and they value opportunities for advancement the most in the workplace. For more insights, have a look at this infographic created by the Brighton School of Business and Management. What to Expect from Gen Z infographic created by the Brighton School of Business and Management.